Detectives have launched an investigation after a cash machine was ram-raided in Clitheroe. Police were called around 2.35am on Friday following reports of an incident at the Spar shop in Edisford Road. Around 2.25am, a JCB digger had been driven into the front of the store and used to remove an ATM machine. The machine was damaged during the incident with a quantity of cash taken. The offenders made off from the scene undetected, with structural damage caused to the building. The road outside the shop had to be closed for several hours. The JCB had earlier been stolen from the Slaidburn Road area of Waddington. Detectives are appealing for information following the incident and are keen to speak to anyone who can help with their enquiries. 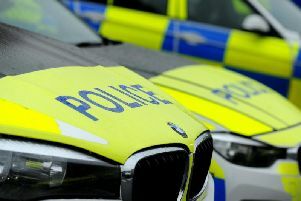 Det Sgt Mark Holland, of Lancashire Police, said: “An investigation is underway following a cash theft in Clitheroe. “Offenders have used a JCB digger to ram the front of the store before ripping out an ATM machine. “The thieves have then taken a quantity of cash before making off from the scene. “We are appealing for information and are keen to speak to anyone who can help with our enquiries. “Did you see anyone acting suspiciously in the area around the time of the offence? Did you see a JCB digger being driven towards the scene or a vehicle making off from the area at high speed? Anyone with information can contact police on 101 or email 1438@lancashire.pnn.police.ukquoting log reference 0114 of October 19.